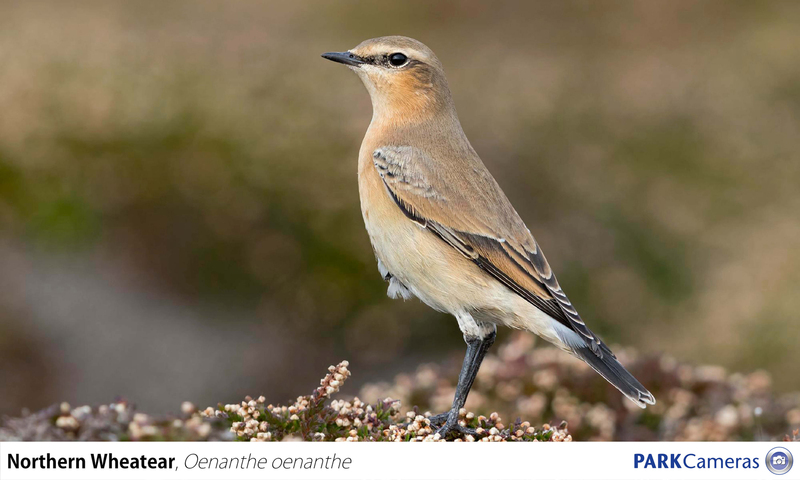 As a birdwatcher, binoculars are a vital necessity for me and very rarely do I go anywhere without them. 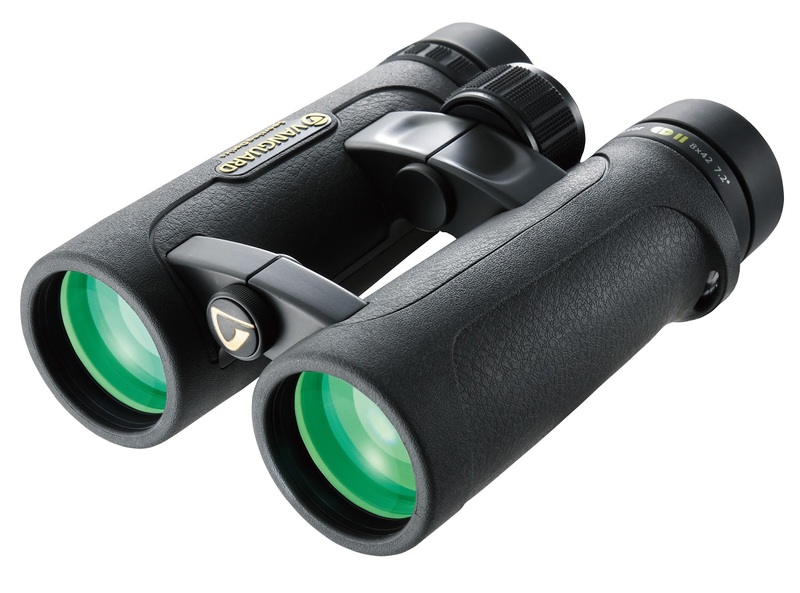 This October I made my near annual trip over to the Isles of Scilly for as spot of birdwatching, but instead of my normal optics I’d been given a pair of the new Vanguard Endeavor ED II to try. If I'm honest Vanguard has never been a brand I've associated with top-quality optics and I didn't have very high hopes. As soon as you pick up these binoculars, they just feel “right”. They’re constructed from a magnesium-alloy which is stronger than some of the plastic/polycarbonate models that are available, and are in fact a little lighter than the aluminium ones. At 770g they’re certain not the lightest on the market, but it’s a small price to pay for its robust feel. The exterior has a rubber coating that has very nice leather-like texture to it which gives them an excellent level of grip without feeling too sticky. The rubber itself is also of a good thickness, and as such offers a good amount of impact protection. In the hand these binoculars felt immediately very well balanced and comfortable. This is partly due to Vanguard moulding a couple of thumb indents on the underside near to the eyepieces. These are so well positioned that when you grab the binoculars, you always get your grip right straight away. 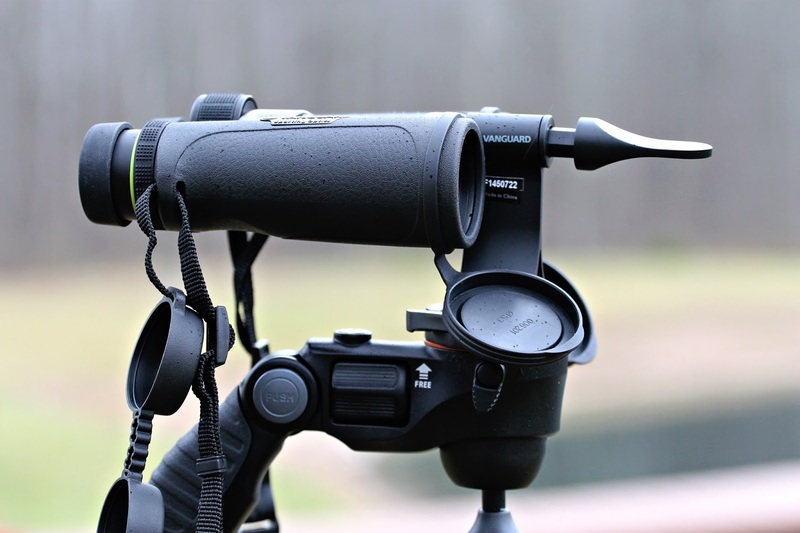 The eyecups are made of metal as opposed to plastic which makes a nice change, compared to most other binoculars around this level. These are then covered in rubber which is very comfortable against the eye. A very smooth mechanism enables three different custom-fit eye reliefs that’s achieved via a twist up or down of the eyecup. This is super smooth and once locked into place, they are completely free of any play. Although I'm not a spectacle wearer myself, I can only assume that with its huge 19.5mm eye relief, most people with glasses will have no problem using these whilst wearing them. The dioptre adjustment is located just under the right eyepiece as it is with most binoculars. I've had trouble in the past with this position on other binoculars as it’s easily knocked, however on the Endeavor's it is lockable, which means that once you've set it, you can’t change the setting accidentally. To change it, all you need do is simply click the ring up, adjust it, and then click it back into place. Fantastic! The focus wheel is also metal with a bumpy rubber finish which rotates very quickly, only taking about ¾ of a turn (135°) to go from of near to far focus. This had its advantages and disadvantages. 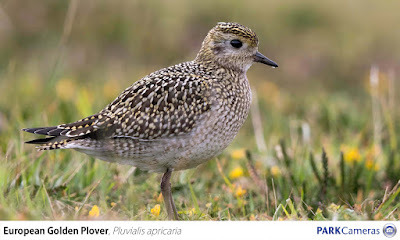 Obviously its main advantage was you can go from looking at a butterfly to a bird in the distance very quickly indeed. The disadvantage is that it did take a little while for me to get used to, as it was occasionally a little difficult to fine focus, especially if you’re used to a pair of binoculars that feature a slow wheel, as I was. The inside of the Endeavor is fully sealed and nitrogen purged. This means they’re completely water, dust, sand and other foreign bodies proof. 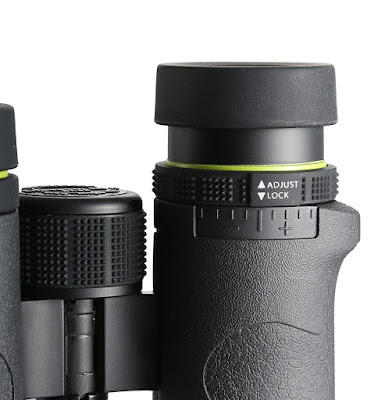 With Extra-low Dispersion (ED) glass and phase-corrected BaK-4 prisms, these binoculars really perform very well. Chromatic aberration is extremely well controlled and is nearly non-existent which means that it produces images with true colour across the entire field of view and with very good contrast. Light transmission is excellent with bright and clear images, which allow good low-light performance. One thing I was really surprised by was the sharpness at the edge of the field of view. It’s exceptional. 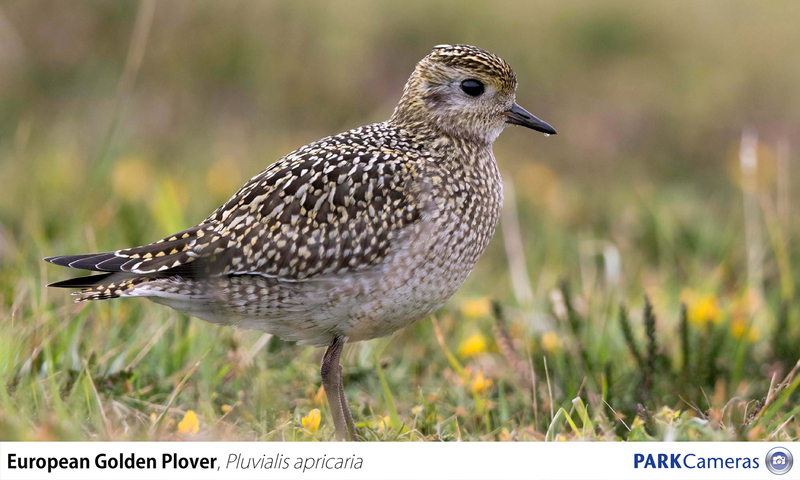 There is little to no field curvature - a common problem with most binoculars that causes the subject to be sharp in certain parts but not in others as you move out towards the edges. With a view angle of 7.2° you get a width of view of 378ft wide at a distance of 1,000 yards. This isn't exceptional but is fairly average for a pair of 8x binoculars and I found it fine for birdwatching. Vanguard quote the official close focus distance as 2m (6.6ft) however my test pair focused closer to around 1.8m. This meant that they were excellent for watching dragonflies, butterflies and taking closer looks at flowers. After my week of using the Endeavor, and after my initial dismissal of them, I was very sad to see them go. They were a pleasure to use and a real surprise. The build quality and optical quality is something I'm used to, but not in this price range. If you’re looking to invest in a pair of binoculars for nature watching under £500, I’d highly recommend the Endeavor ED II 8x42 as the binoculars to purchase. Learn more about these binoculars by visiting our website, calling 01444 23 70 70, or visiting our stores in Burgess Hill or Central London. Purchase a pair before 31.12.2015 and you'll receive a FREE Vanguard Cleaning Kit worth £24.99 (whilst stock lasts). If you've got a question regarding these binoculars, post a comment in the section below, and we’ll do our best to answer it for you!